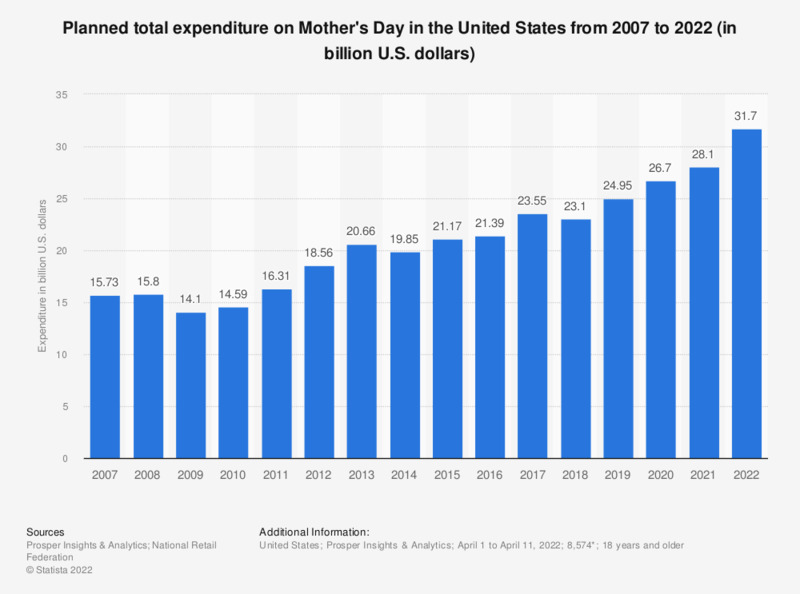 The statistic presents the total amount spent on Mother's Day in the United States from 2007 to 2018. In 2018, U.S. consumers planned to spend approximately 23.1 billion U.S. dollars for Mother's Day. * Mother's Day takes place every year in April/May.